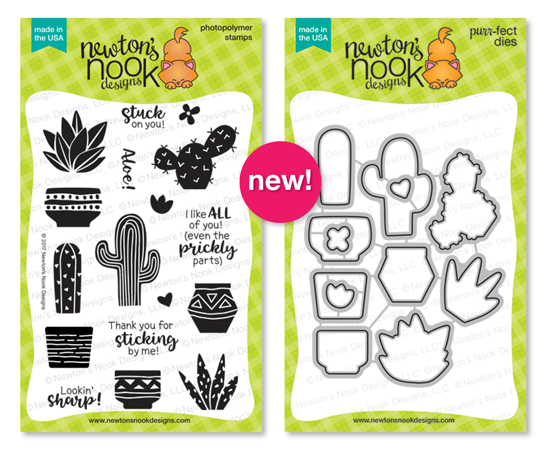 Welcome to day 1 of the March Release from Newton’s Nook Designs. We have lots in store for you and the focus is birthdays! 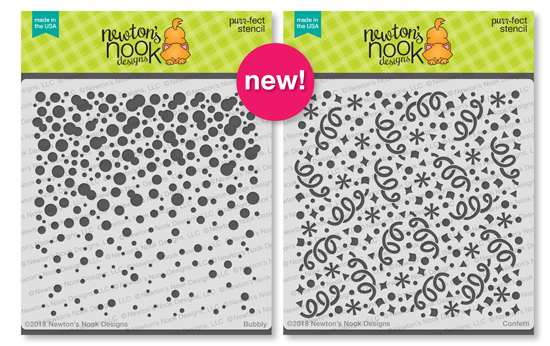 Today we have an adorable set called Holding Happiness (with coordinating dies) along with two new stencils, Bubbly and Confetti. I cannot even say how much I’m in love with this first reveal set! I’m so excited for all the possibilities with it. This sweet gal and her balloons called out to be colored with fun, bright tones and I thought using my Chameleon Markers (and Color Tops) would be perfect. 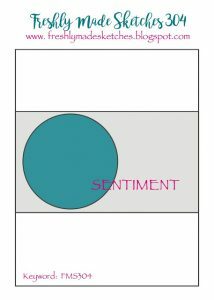 This sentiment from the set is awesome to use with each of the images and I simply stamped it in the corner of this popped up panel. I dug through my collection of sequins to find some that match my balloon colors to add just a little more detail. I can’t wait to see what the whole team has done with this set…sure to be amazing! 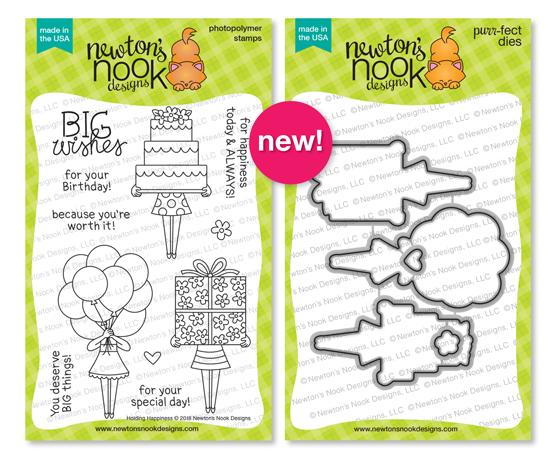 And these stencils are another great addition. I’ll show you more with those later this week. Off to a great start for sure. Now on to everyone’s favorite part of release week. A chance to win!! 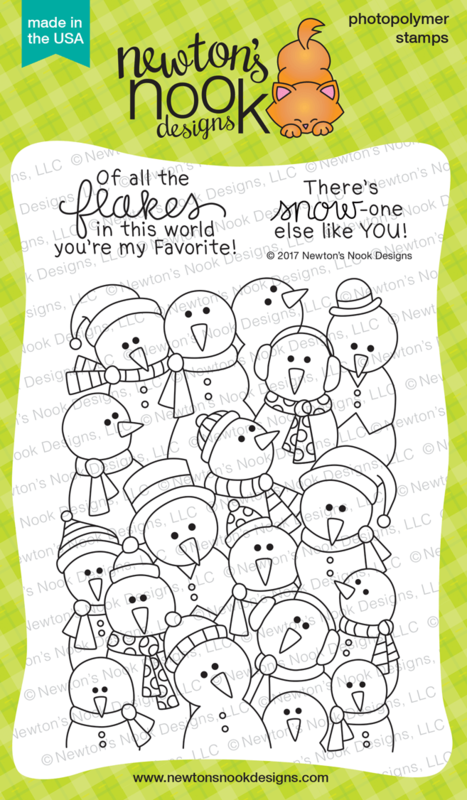 I’m happy to have the last Freshly Made Sketches card of the year to share with you today! Whew….always amazing to look back at all the sketches and inspiration!! 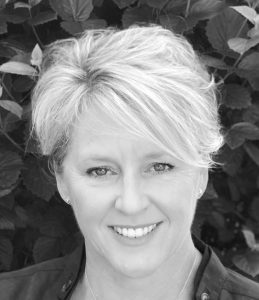 It is fitting that our resident birthday girl, Linda Callahan, is also today’s sketch hostess. I could sing Linda’s praises all day long but suffice it to say that she is one of a kind in her humor, talent and overall amazingness! And she, thankfully, gave us a really great sketch that will carry us through the holiday season. Feel free to use it multiple times and make sure to share with us! As Christmas sneaks up on me (how…I cannot explain), I knew that it was time to reach into my pile of UFOs (Unfinished Objects). You may recognize this flower as the same one I used back on FMS304 but it has the flower name along side. I colored with the Chameleon Color Tops Pens and cut it out with a stitched oval. While it didn’t work how I wanted it to then, it works perfectly for today’s sketch. And all the stamping/coloring/cutting was already done! I backed it up with this awesome striped ribbon and pretty much called it done. Yay for UFOs…of course this justifies my keeping that pile so not sure if it is an overall win, haha. As we get closer to Christmas, my “day job” schedule is really busy. 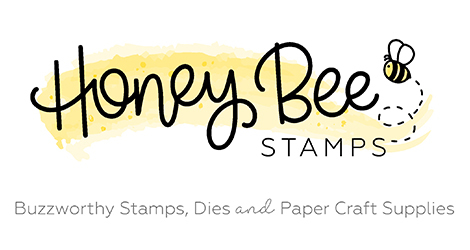 Not sure how much stamping I’ll get to do but I’m already looking forward to having things to share with you in the new year. Until next time, thank you so much for stopping in! Happy middle of the week to you!! I hope you are having a great one so far. 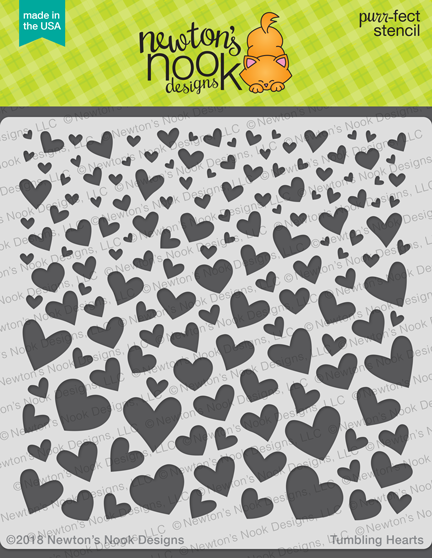 Today’s Freshly Made Sketches sketch is one that is sure to inspire. 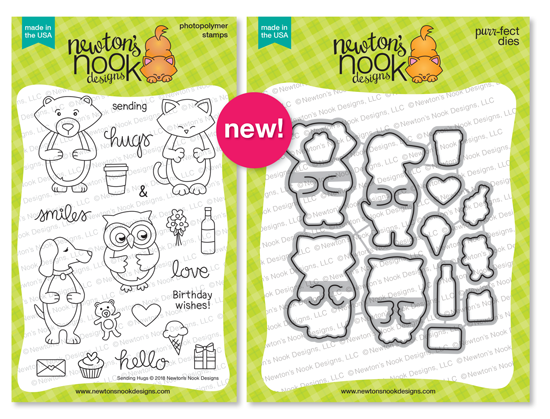 The lovely Amy O’Neill has given us one that can be used in so many ways! Love it! When I saw the oval in the sketch, my brain immediately went to this sentiment from WPlus9. I love it as a focal point and it gets to be the star of the show. 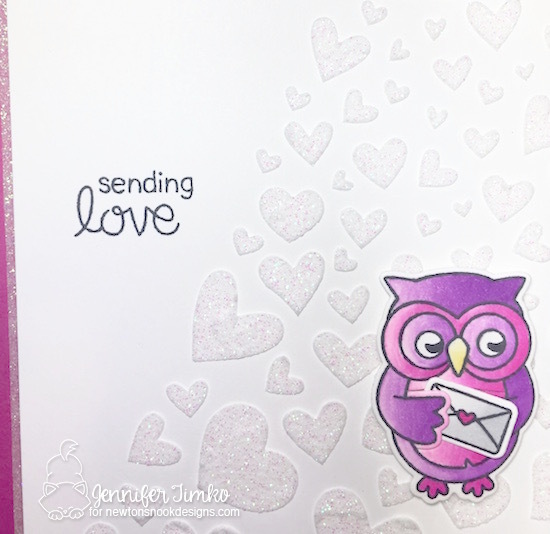 I stamped it in Versamark ink and embossed with Wow Bright White Embossing Powder. The coordinating dies make quick work of cutting it out. The little flower and foliage images are super fun to use as accents. I stamped them in Momento Tuxedo Black ink and the colored using Chameleon Pens. 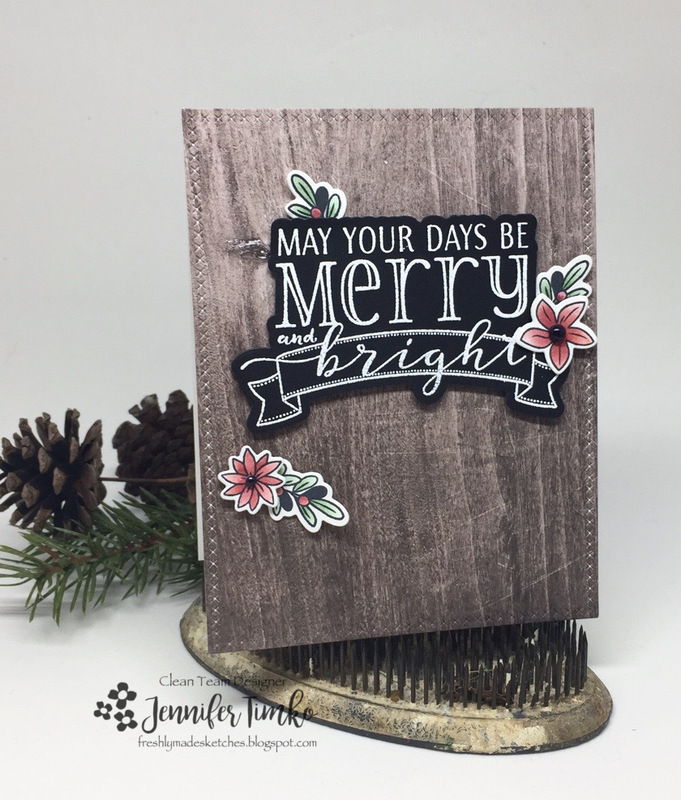 I thought the black sentiment would be great against a wood grain background so I turned to this Wood Textures DSP by Stampin’ Up. I cut it using the Lawn Fawn Cross Stitched Rectangles Dies. Finally I added some Basic Pearls to the flower centers after coloring them with a Sharpie marker. I hope you have a great time with the sketch this week. I’m working hard to finish up my holiday cards. Christmas card-a-palooza, if you will. I’ll share some of those in the next few weeks. Thank you so much for dropping in today. See you again soon! I’m working on continuing my coloring for The Daily Marker 30 Day Coloring Challenge (running this month) and I thought this sweet little image from Power Poppy would be perfect for the latest sketch from Freshly Made Sketches. 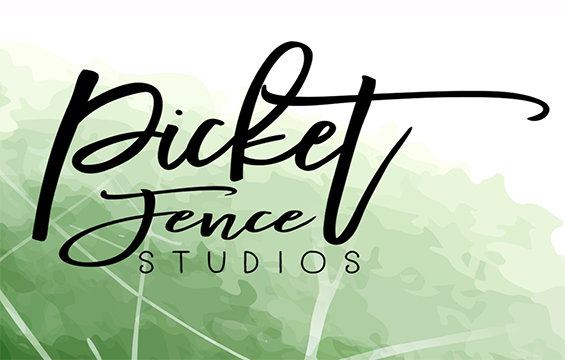 Narelle Farrugia, who always created with the most beautiful details, designed this awesome sketch for us this week. An instant classic! I decided that this was another image that was great for the Chameleon Color Tops. I looked at the coloring on coreopsis flowers and the blend from red to yellow was a natural for these cool pens. I used the YO2 Mellow Yellow pen and infused with RD3 Vermillion. Fun, right? The transition from red to yellow is just like the flowers. I added a sentiment from the set too. The image was cut out using the Stitched Shapes Dies (SU). The corrugated paper gives a little detail for the sketch and I added some jute twine. Now, back to the coloring. If you haven’t heard about the coloring challenge or have not yet joined in, consider it. Kathy encourages just a little coloring every day. Just for fun! Every time I have participated, I have had such fun. Creating just to create! Thanks so much for stopping in today. I hope you have a happy Wednesday. 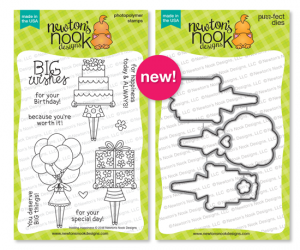 Today is my day to share a project on the Newton’s Nook Designs Blog and given the news from Texas, my inspiration for this isn’t too hard to guess. 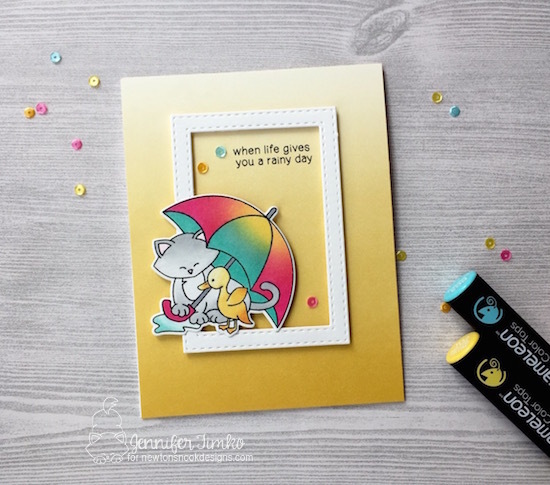 I thought that Newton’s Rainy Day was the perfect set for creating a card right now. As soon as I pulled out this image with the big umbrella, I thought that my new Chameleon Color Tops would be fun to use. And yep, was I right! The shading on each panel was created by starting with a base color pen and then infusing with another color. So my Fuchsia (PK5) pen was infused with Mellow Yellow (YO2) and what a cool effect, don’t you think?! Same with the Turquoise (BG3) (infused with Mellow Yellow). For the duck I used Mellow Yellow infused with Tangerine (OR3). 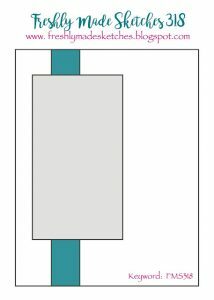 The kitty is Neutral Gray (NG4). I combined “regular” Chameleon use with the Color Tops on this and it is amazing how much fun it was to experiment with color options. Once I finished coloring, I was looking for just the right background when this one virtually jumped out at me. 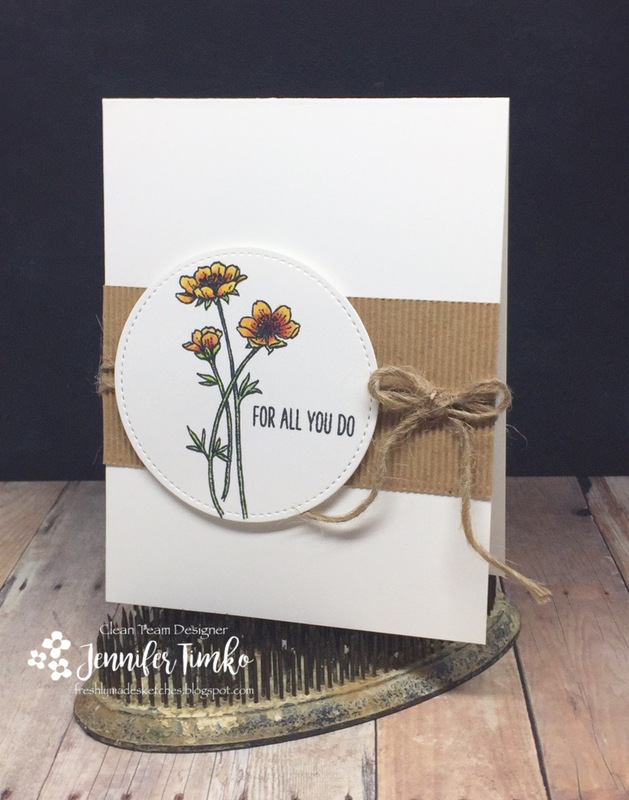 Um, yeah…the ombré yellow from the Color Theory DSP matched perfectly! I created a little frame and added some sequins and left most of the focus on this adorable image and its bright colors. 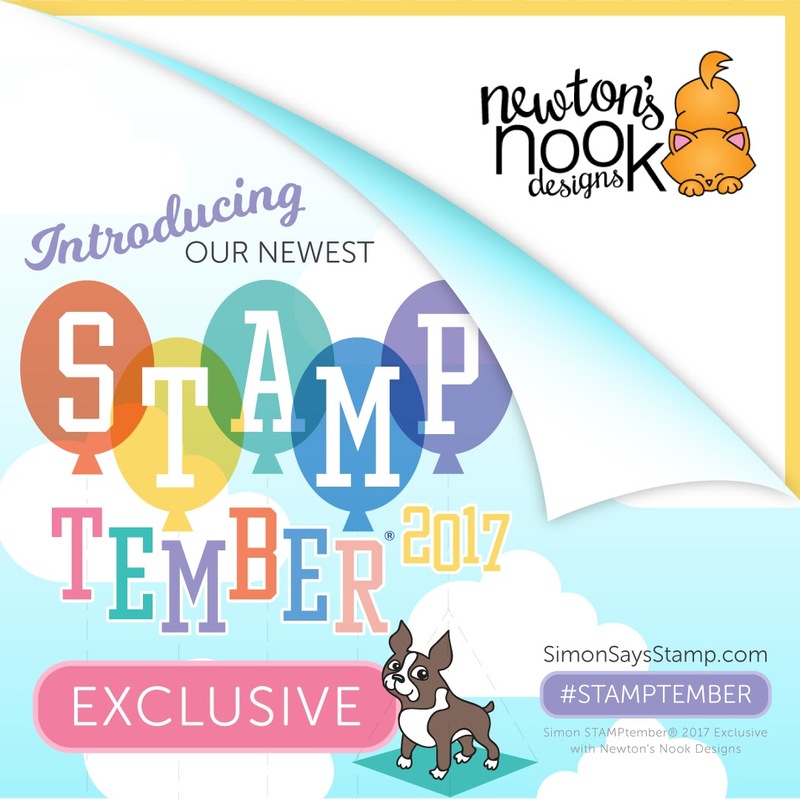 I hope you like my Newton’s extra this month. So glad you stopped in to see me. Back tomorrow with the latest from Freshly Made Sketches. Until then, have a great day! Today is my day to share a project on the Newton’s Nook Designs Blog and I just had to continue with making pretty summer cards with this Lovely Blooms stamp set. This flower set really is awesome for coloring! Is there such thing as a yellow hydrangea?? I’m not sure but I created one in any case. 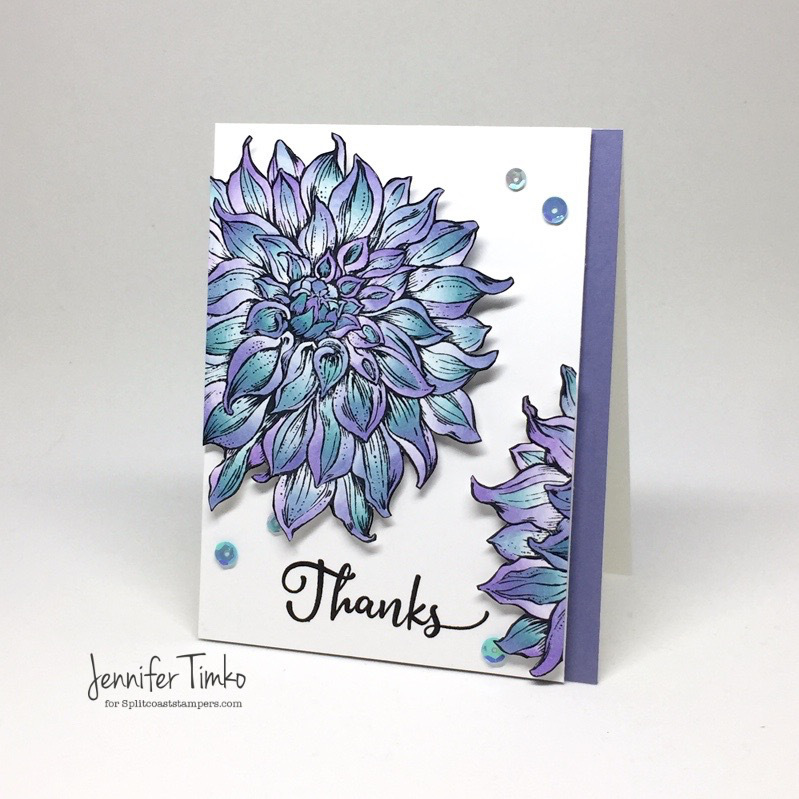 Using my Chameleon pens, I colored the flowers and the leaves to coordinate with this new Color Theory DSP from Stampin’ Up. 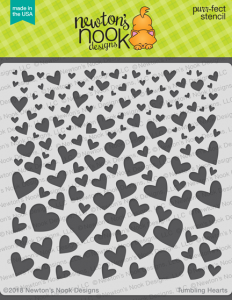 I LOVE this paper! It is the perfect background for almost any image but it really shows off this flower. The sentiment is a go-to for me lately and it comes from the Happy Little Thoughts stamp set (NND). I colored some Basic Pearls with the Olive Chameleon pen and added those fora little more detail. The whole image panel is on a Crushed Curry card base. For those of you in the US, I hope you have a wonderful and safe 4th of July!! So glad you stopped in today. See you tomorrow with the latest from Freshly Made Sketches! 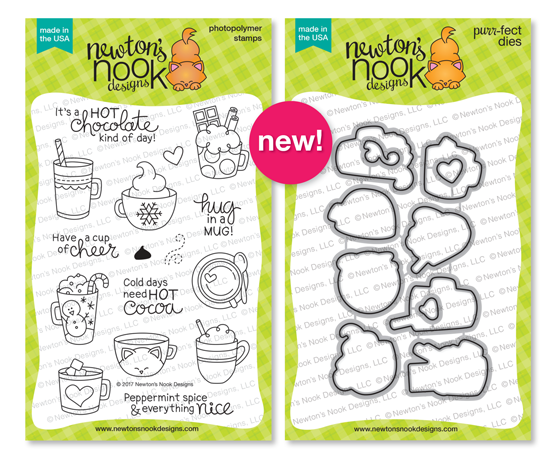 Today is Day 3 of the release from Newton’s Nook Designs. 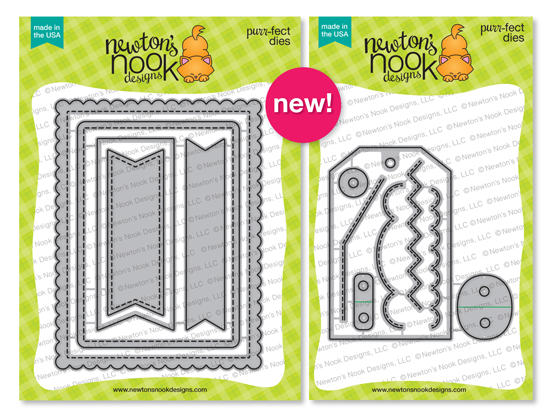 I’m super excited that we have not one but TWO sets to share (and matching dies!). Yeah….this is awesome!!! I’m starting with a card that I created for the release but also for the Freshly Made Sketches challenge this week. Our hostess is the lovely and amazing Cécile Ribon and she created this fun and clever sketch! I loved using it to show off the Cuppa Cactus stamp set. I colored these adorable images using my Chameleon Pens. These are such fun to color!!! 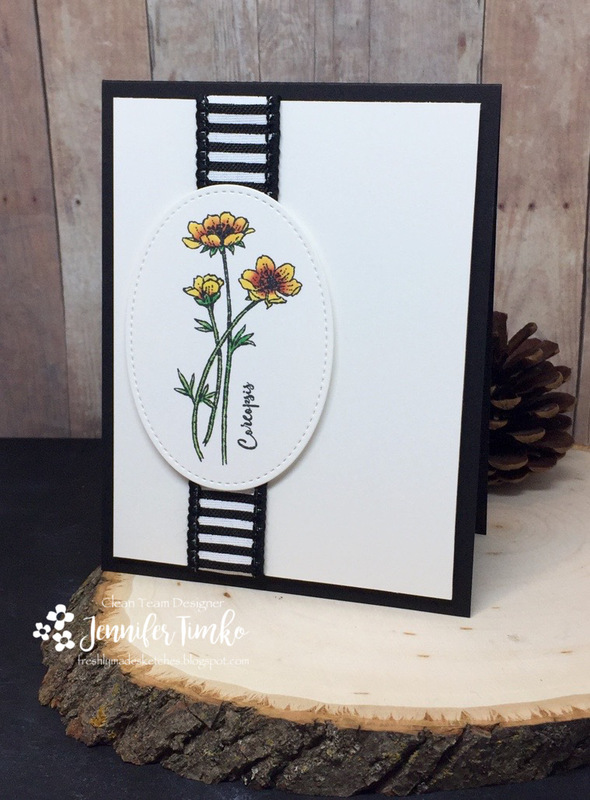 I sponged some stitched circles with Distress Ink in the coordinating colors and they are perfect to show off these fun image, don’t you think?! 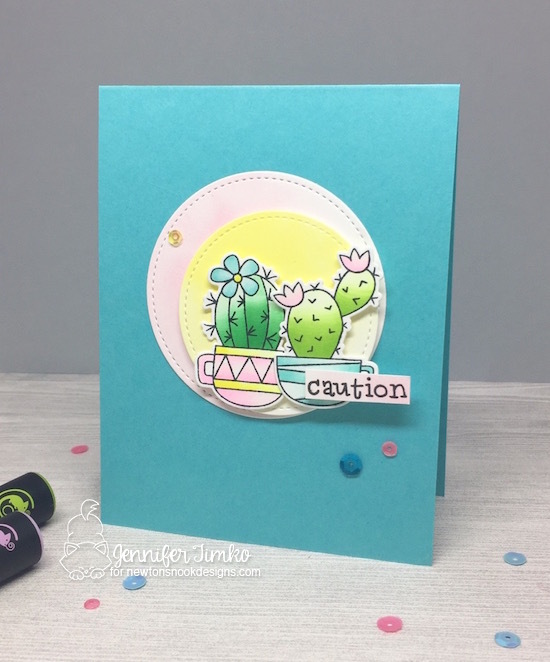 I stamped the “caution” sentiment to follow the sketch and then put the actual caution inside the card. *smile* Super cute, right?? All of you coffee fans will totally need this one. Not sure how to take it but my boys commented about this being perfect for me when I showed them the card. Hmmmm….. 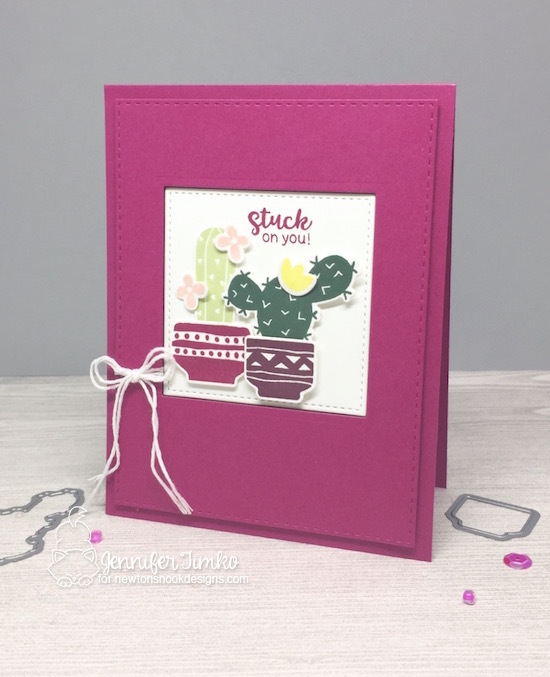 This second card used the Cultivated Cacti set and I had such fun with it. 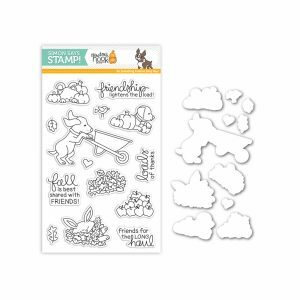 I love that you can stamp quickly with solid image stamps and get such a cute little scene! I did a mix and match of inks and colors to created my scene. And oh, this sentiment (and the others in the set)….such fun little puns! While I think these are hard cards to make, having a stamp that says exactly what you need it to is invaluable. And, you can get the set for free! 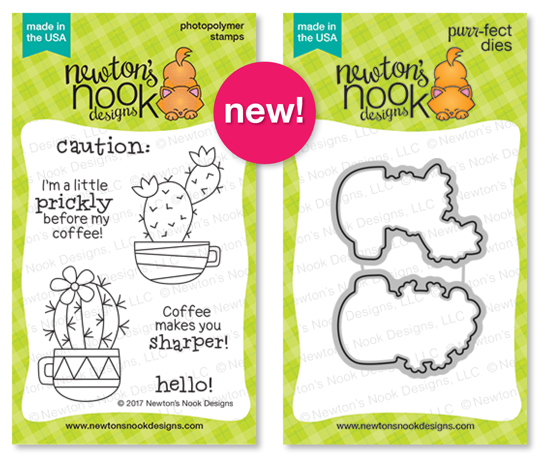 Would you like to win the “Cuppa Cactus” or “Cultivated Cacti” Stamp Set? I am so happy that you stopped in today. Tomorrow will be Day 4 of release week. You don’t want to miss it!